ESET is one of those security software providers that have reputation of producing innovative Antivirus softwares with advanced features. Ever since ESET started to produce security softwares, some dangerous viruses which remained in most of PCs are removed. ESET’s latest Antivirus product – NOD32 Antivirus 5, built on unique heuristic technology. 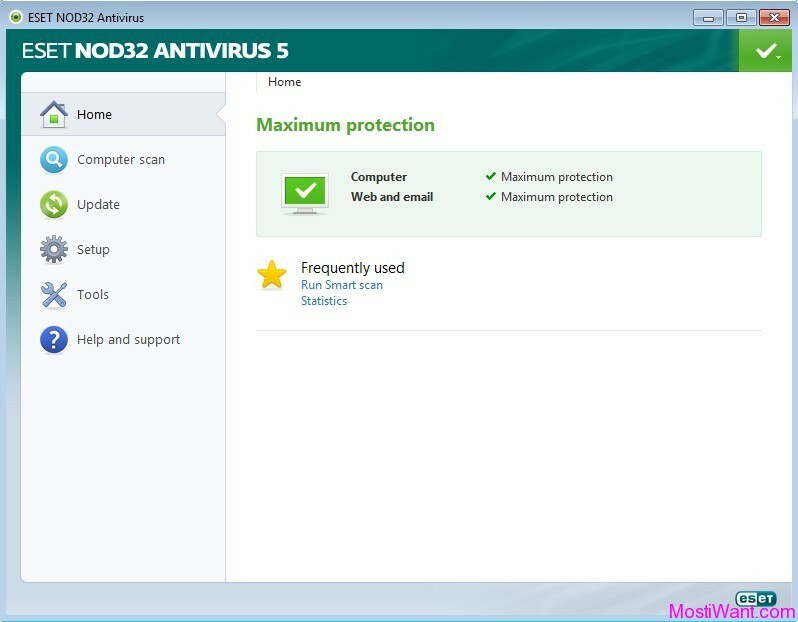 ESET NOD32 Antivirus 5 has tools which are meant to protect your PC in real-time from computer and internet threats and controls your system performance with ease. 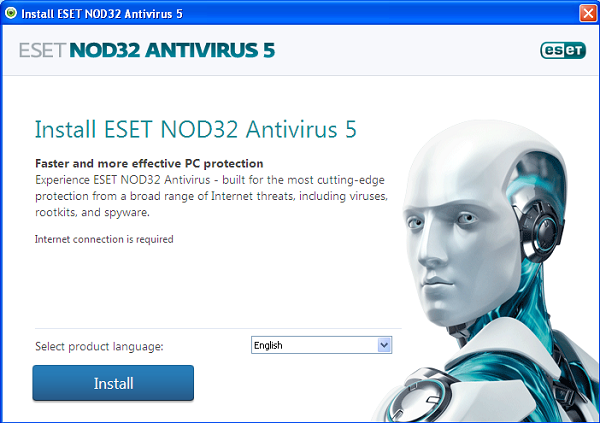 ESET NOD32 Antivirus 5 is built with advanced detection technologies and multi-layered protection feature. 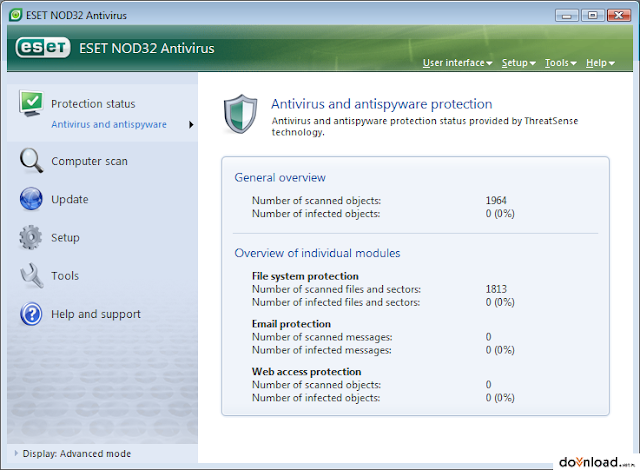 NOD32 Antivirus 5 comes with a 30 day trial version which offers high-level security for your PC. 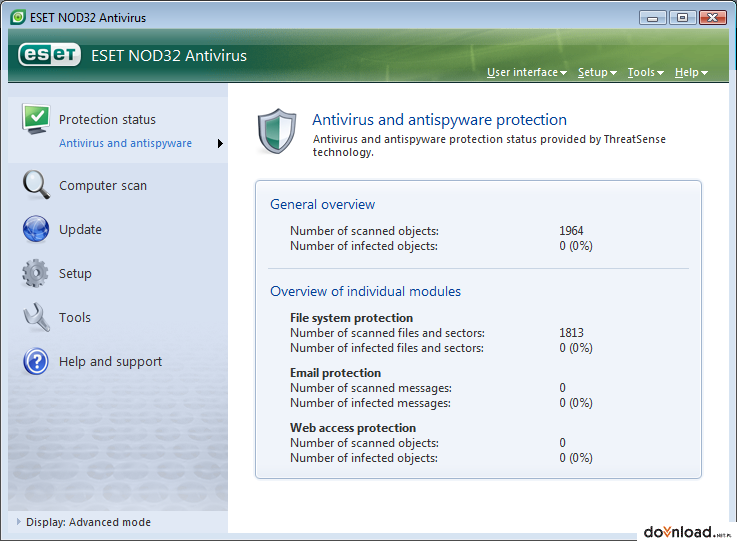 NOD32 Antivirus 5 is strong and productive in terms of virus detection. You can get more effective and advanced features, if you buy this software for $39.99. 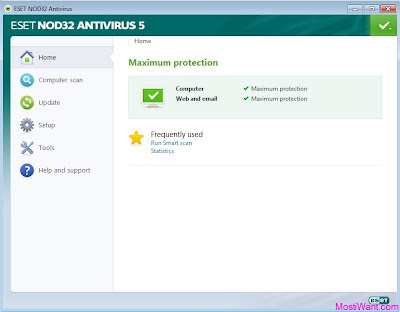 Compared to other Antivirus softwares, ESET NOD32 Antivirus 5 has slow Installation process which includes a small registration and to enable “Potentially Unwanted Protection(PUP)”. The process has too many Installation screens which are unnecessary and annoys users. You will be asked for scan immediately after the Installation is completed. The registration is done within the Installation process, not jumping to your default internet browser. No Reboot is required after complete Installation. Interface of ESET NOD32 5 is same as its previous version NOD32 4, although small changes are ought to be done. Status of security is colored Green and labeled Maximum Protection. Color changes to Red when the trial version is expired or any core security features are missing. All the important security features like Computer Scan, Update, Setup, Tools and Help are placed on left side for navigation. Interface is a bit difficult to understand for both experienced and beginners. 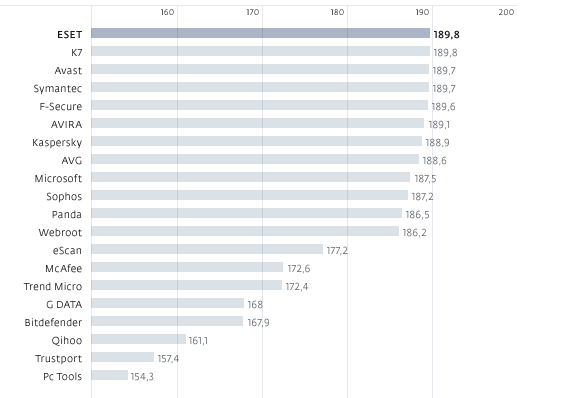 NOD32 Antivirus 5 stands out as the one of the best performance-oriented security software, though the reviews might be bad. Deep Scan completes in 2 hr 20 min and a minimal impact on Boot Time. 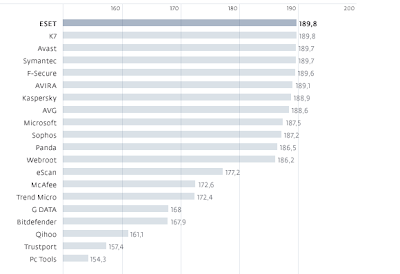 Below figure tells you the performance score along with other Antivirus tools. Find and deletes known and unknown viruses, Trojans, worms, adware/spyware and other Internet threats in Windows and Linux. Antispyware – Keeps your private data secure and safe. Host-Based Intrusion Prevention System (HIPS) – Blocks access to change the Antivirus program. Cloud-Enhanced Whitelisting and Antirootkit – Faster malware detection. Removable Media Control – Deletes dangerous viruses from USB drives, CDs and DVDs. Gamer Mode – Background scans and notifications when playing games. Share anything through internet without threat infection. Better Online Experience with Internet Security Training. Cybersecurity Training (with purchase of ESET NOD32 Antivirus 5).